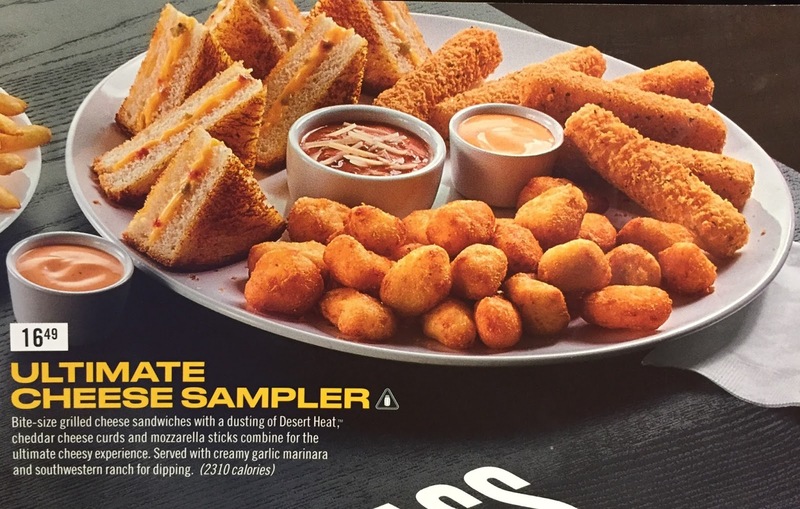 Ultimate Cheese Sampler is available for a limited time at Buffalo Wild Wings. 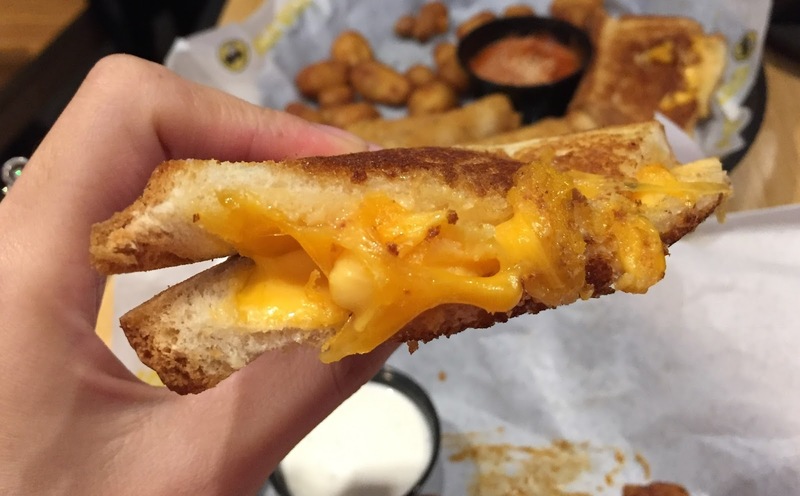 Bite-size grilled cheese sandwiches with a dusting of Desert Heat, cheddar cheese curds and mozzarella sticks combine for the ultimate cheesy experience. 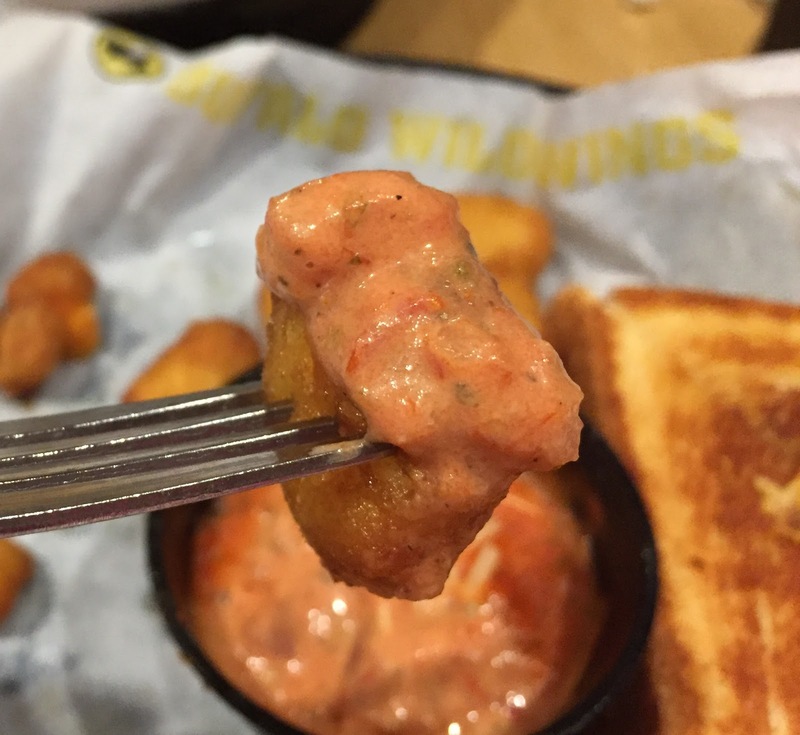 Served with creamy garlic marinara and southwestern ranch for dipping. Until I looked through the list of the items we tried, I didn't remember we actually tried it last year under exactly the same name. Only 1 sauce was on the plate and they forgot to put southwestern ranch sauce. The grilled cheese had yellow cheese and also some chunks of vegetables like Queso Dip. The surface was crispy and lightly seasoned with Desert Heat. Creamy garlic marinara sauce had sour tomato flavor and rich cheese taste. 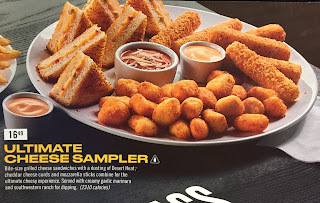 Fried cheese curds were squeaky inside and mozzarella sticks were melty.